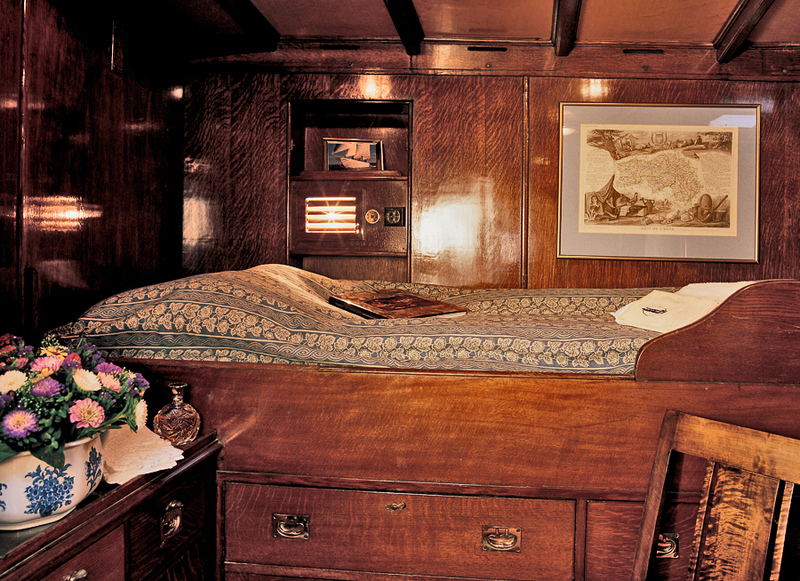 Built from teak by Stephen and Son in 1934, this yacht – even in an era noted for the creation of fine boats was considered a special beauty. 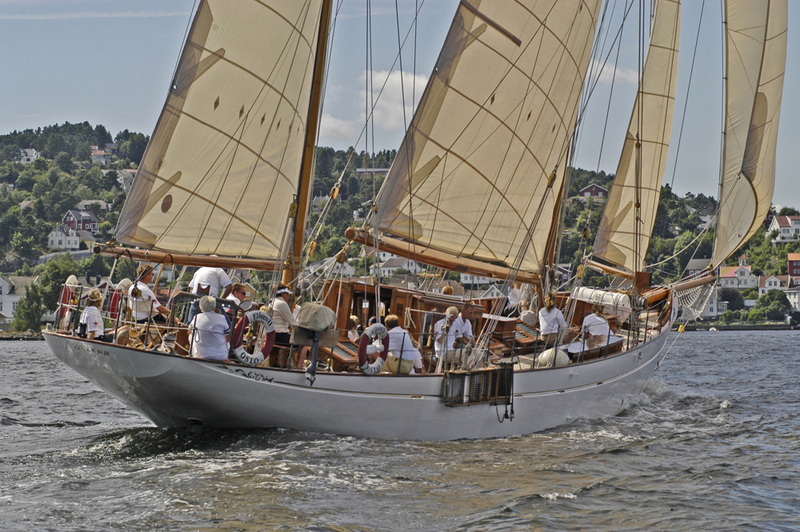 With her head-turning looks, Eileen II is the perfect picture of a 1930s large sailing yacht. 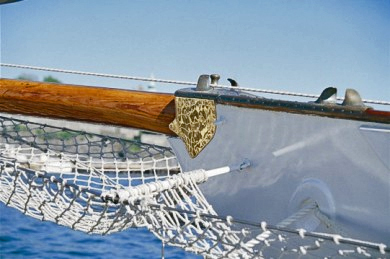 Almost entirely original in structure, rig and interior, she epitomises a golden era in yachting history. 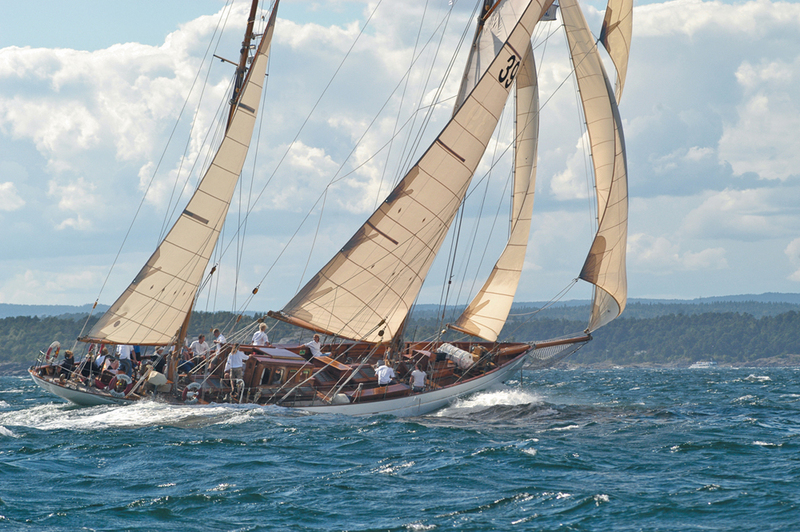 Owned by the same family for 25 years she has been maintained meticulously and is in use daily as a charter boat from her base in the heart of Oslo. 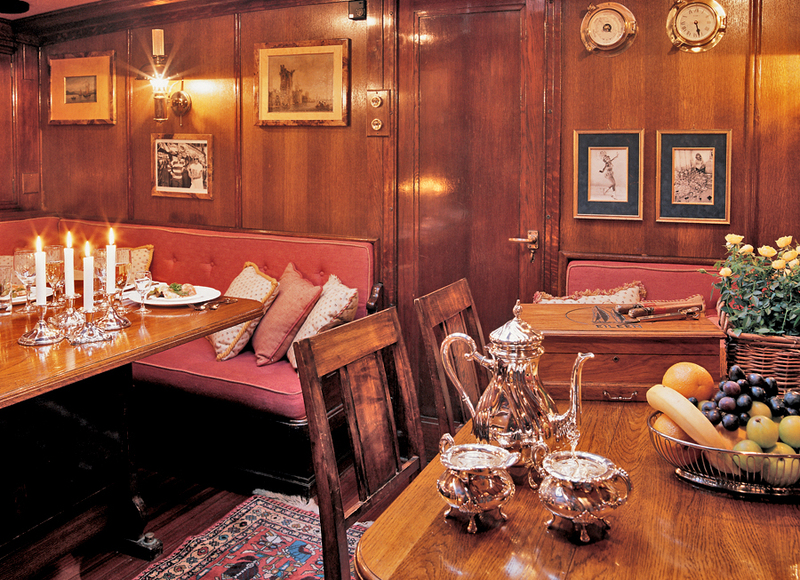 She is one of the happiest little ships we have sailed on as can be confirmed by the host of celebrities - from Royalty to Rockers - who have written in her many guest books over the years. 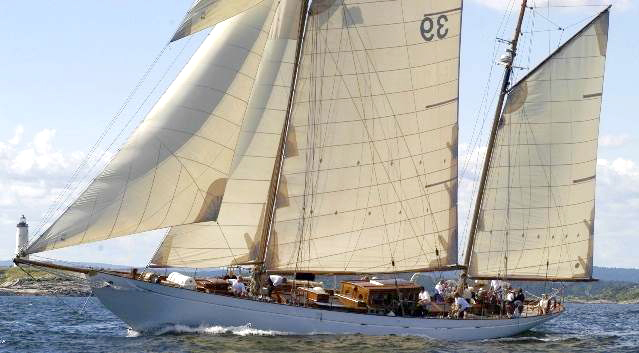 Eileen II is available for sale and immediately ready to give her new owner many years of delight and pleasure. 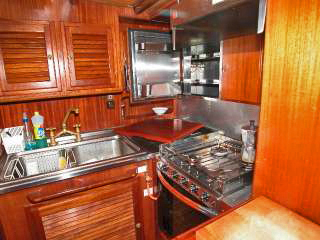 Call David Gray today to discuss how you could be her new owner. 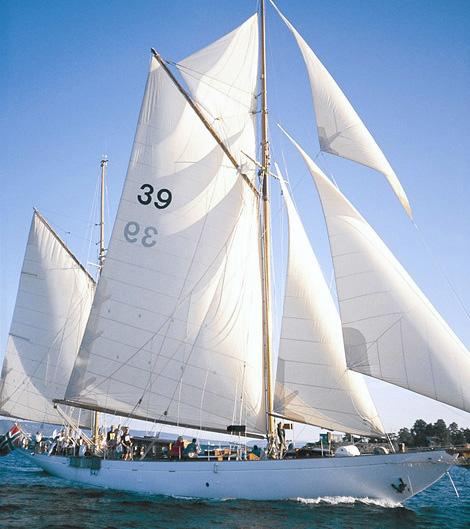 She was launched as ALBYN in 1934 towards the end of the Golden Age of classic yachts. 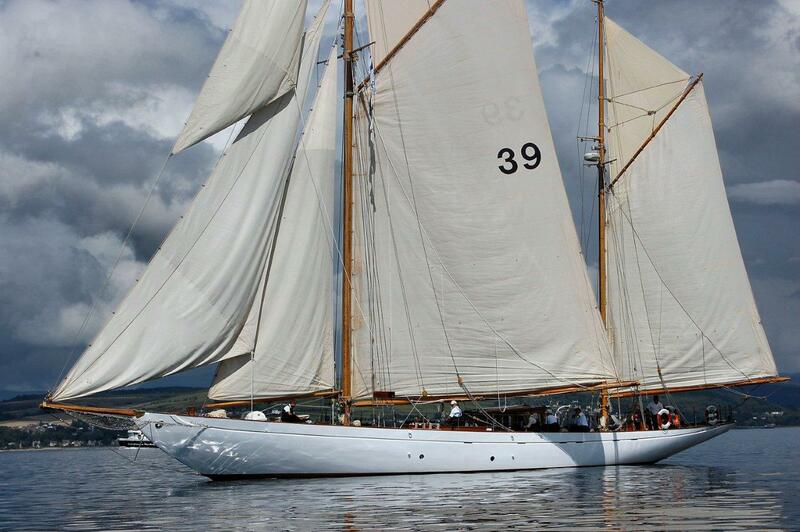 Scotland and especially the Clyde were international leaders in the design and building of these graceful craft and there is no finer pedigree than that of Alfred Mylne, pupil of the illustrious G. L. Watson, and the shipyard of Stephens of Linthouse on the Clyde. 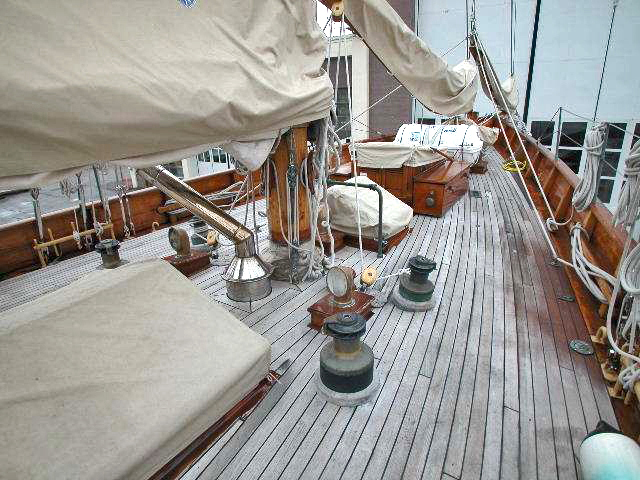 Officially described as an auxiliary engined gaff rigged ketch, she is 92 foot overall and 82 foot on deck, originally fitted with an eight litre Gleniffer paraffin engine. 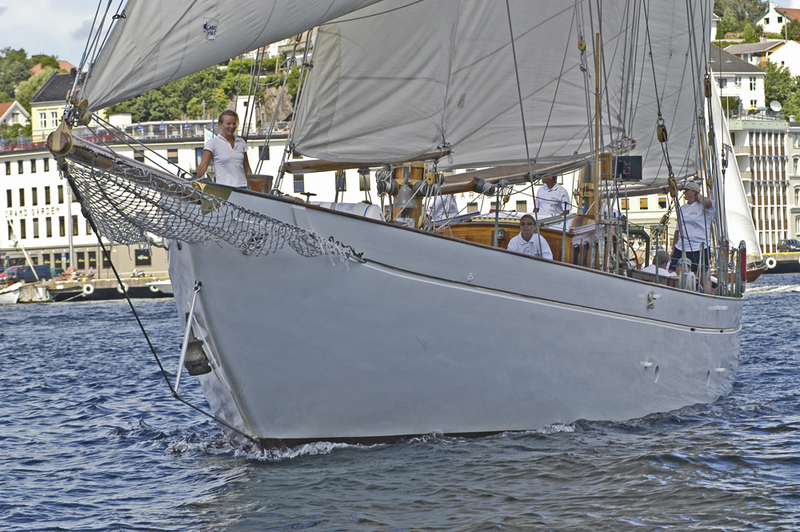 She was built for the Glasgow tobacco magnate Robert French, a leading yachtsman of his day. The Lloyds register of 1936 shows him not only as a member of the Royal Clyde Yacht Club but also as Commodore of both the Royal Cruising Club and the Royal Corinthian Yacht Club of Cowes. He raced her successfully both on the Clyde and at Cowes and she was on the Solent when war broke out in 1939, sailing for Dunkirk for the evacuation in 1940 (though not officially a "Dunkirk little ship"). In 1947 she was purchased by the wife of the Italian Publisher Sr Feltrinelli and renamed GIALESE - her own name while retaining Southampton as her Port of Registry, although she was sailed to the Mediterranean and Porto Santo Stefano became her home port in Italy. The Feltrinelli family kept her until the death of Sra Feltrinelli in 1983 and she was subsequently put up for sale at Sotheby's in London. An industrialist with interests in a well known Italian shipyard purchased her and the yacht underwent a major refit over some eighteen months. She was launched again in the summer of 1986, perfectly restored to her original condition, and renamed GALASHIEL in honour of the Scottish region of her building in 1934, with Montrose as her Port of Registry. 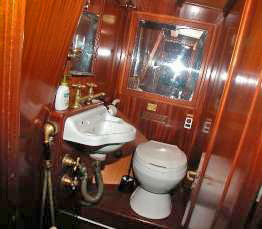 At the Classic Yacht rally Imperia (Italy) in 1987, GALASHIEL received the award for the best interpreter of tradition thanks to her largely original interior and deck details. 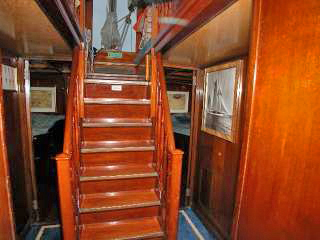 EILEEN II is a 92 ft gaff ketch with counter stern and spoon bow with a short bowsprit. 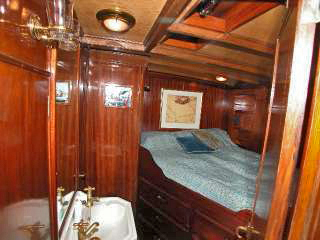 She is built with teak hull planking on steel frames and beams. 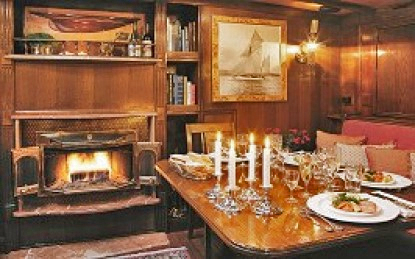 The 2 ¼ in teak planking is fastened to the frames with bronze bolts. The planks are butted on steel straps. Planks are fastened in the rabbet with bronze screws. The deck is teak laid planking screwed from beneath through the steel beams. 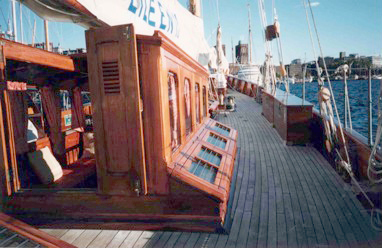 There are many strengthening plates especially around the mast, hatches, under covering board etc.